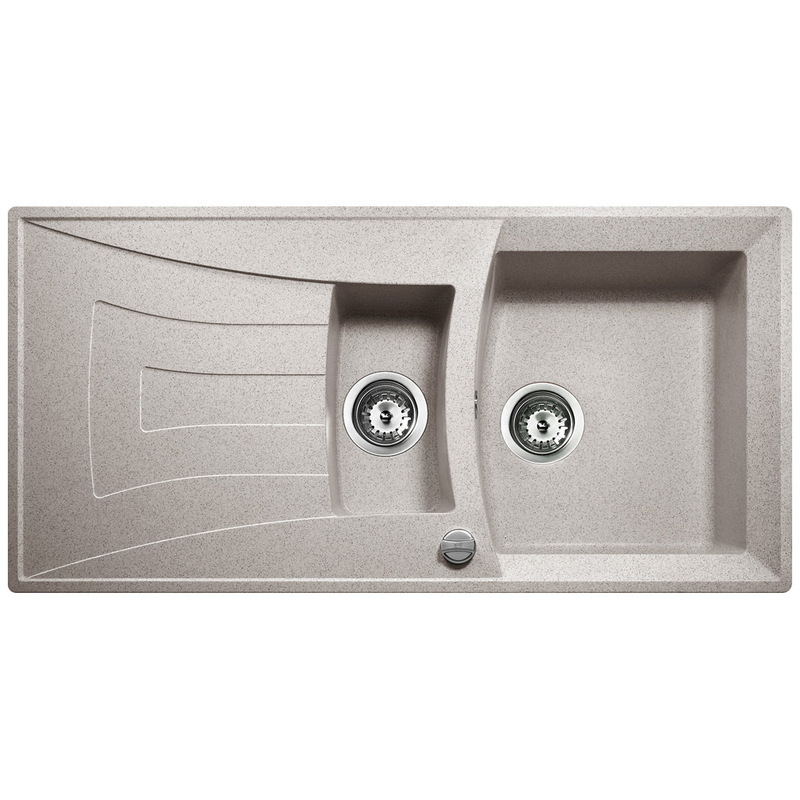 The Teka Universo 60 Quartz Stone Granite 1.5 Bowl Inset Sink is a clever blend of simple aesthetics and quality construction material. 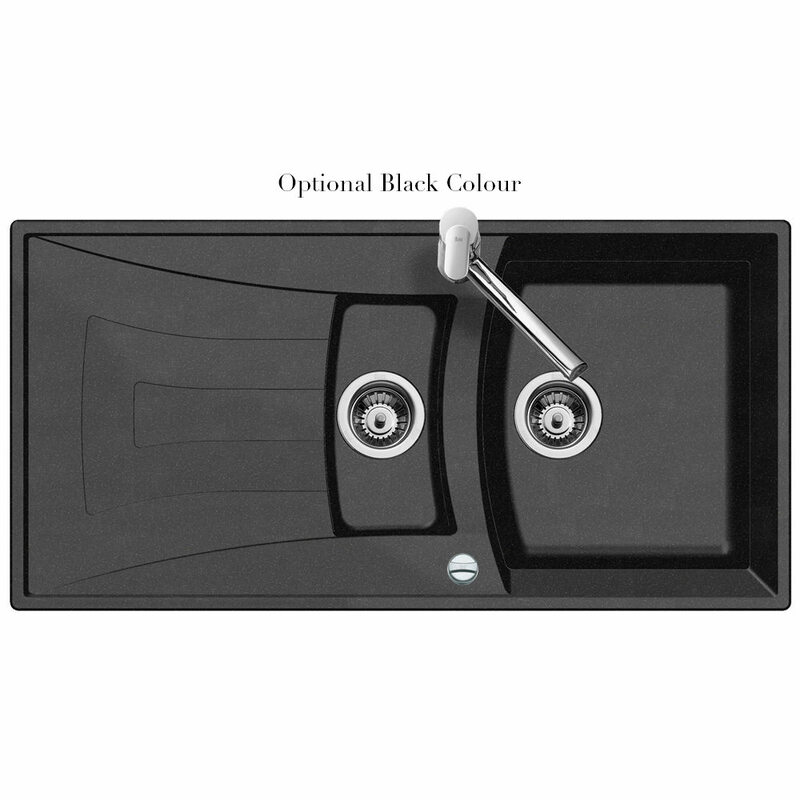 It features a large main bowl, a smaller half bowl, and a stylish drainer. 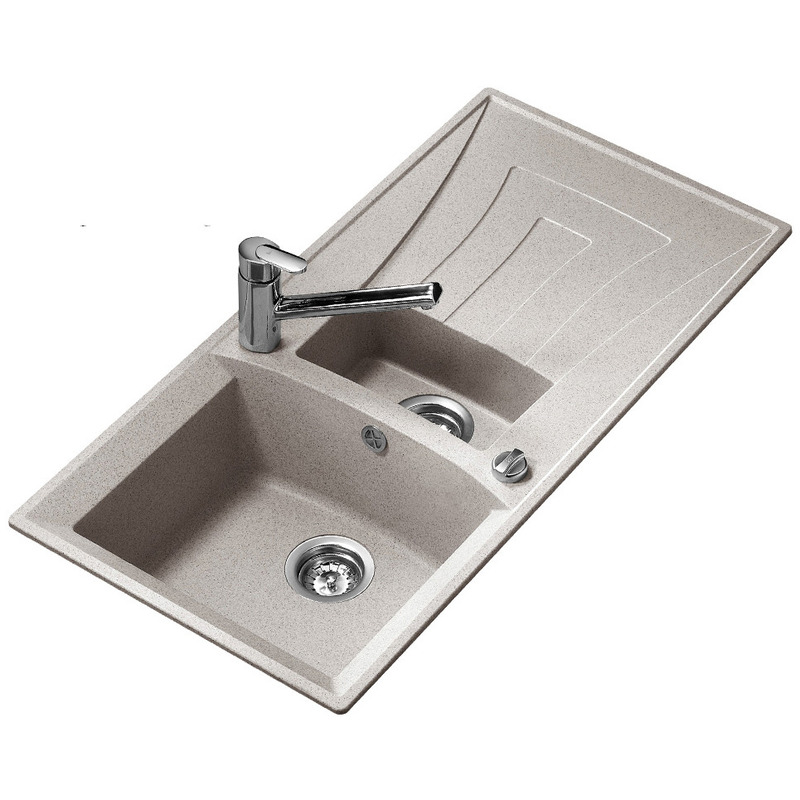 It is created from quartz stone composite which combines various robust materials to create a product thats incredibly hard wearing. The attached drainer with a distinct design pattern is fully reversible for left or right- hand installation as required. It comes in beige offering more customization with a current colour scheme. 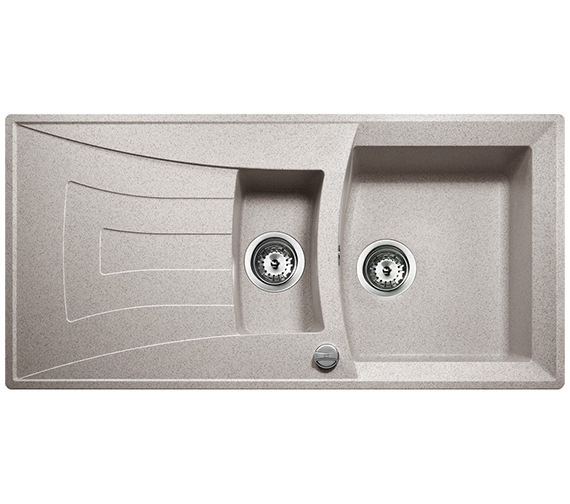 Supplied with a basket waste and overflow, the user-friendly sink would be an ideal addition to your kitchen. 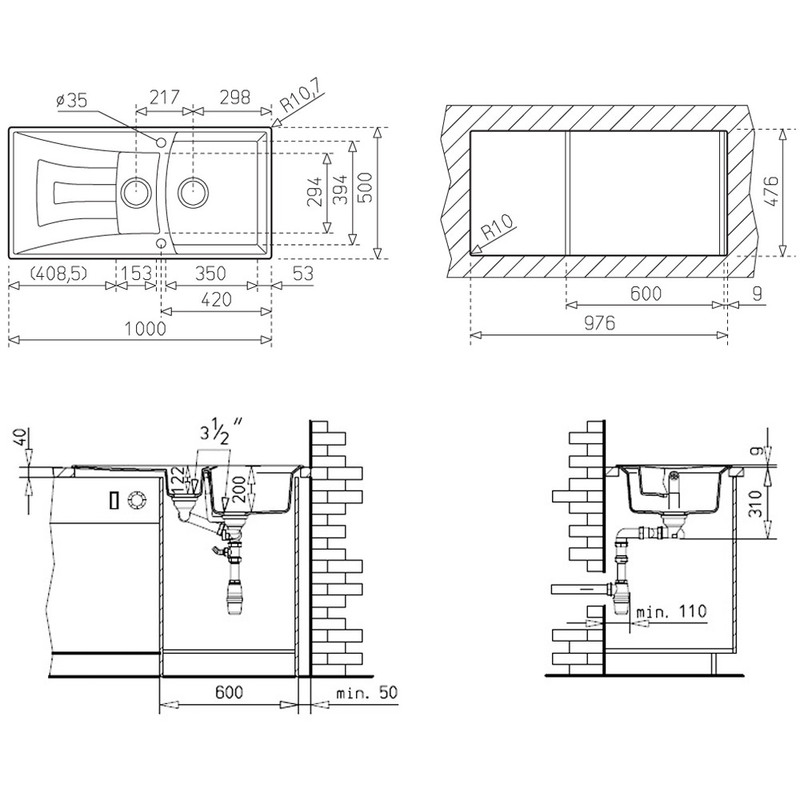 Optional Products: White, Black Colours and Pipe Work. Tips for taking care - Clean with cold water, a small amount of soap, apply with a soft sponge, rinse well and dry to enhance the beauty of the surface. Remember to avoid using some products, which can damage the appearance and the durability. Avoid use of chlorides, knife, water containing high iron and do not dry food with high salt level. Please Note: Colours can not be reproduced perfectly in images, slight colour deviations for manufacturing reasons may occur. Kitchen appliances are available in different finishes and colours to choose from options. Please note: Image shown is for illustration purpose only.